Not much to say but 2 numbers of significance to report. 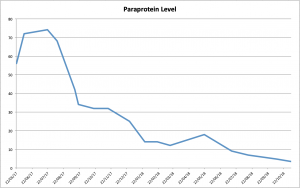 Paraprotein has dropped again from an unexpected 4.8 to a spectacularly off the radar 3.4. The only down side to this is that the drugs knock the wind out of you on a daily basis with tiredness and a bit of a foggy head. But nothing a coffee or a brisk walk can’t clear! Then, on to stat number 2. In 9 weeks, we have got 3’138 people registered on the donor list. Already over a quarter of the way to the (first) target of 10’000. More importantly there have been 3 confirmed matches which is precisely why we do what we do. I won’t waffle on because quite honestly, there is nothing much to report. And I’m very mindful of overloading everyone with this stuff. It’s a tightrope of needing to promote and push whilst not imposing on you all. I’ve got a critical mass of connections and you have done so much of what you can to support the campaign. But at the same time, I (greedily) need to cast the net wider and open up the message to more people. So November might be a bit quieter on the comms front. But if you have any thoughts on how to freshen up the drive and expand the network, I’m all ears! 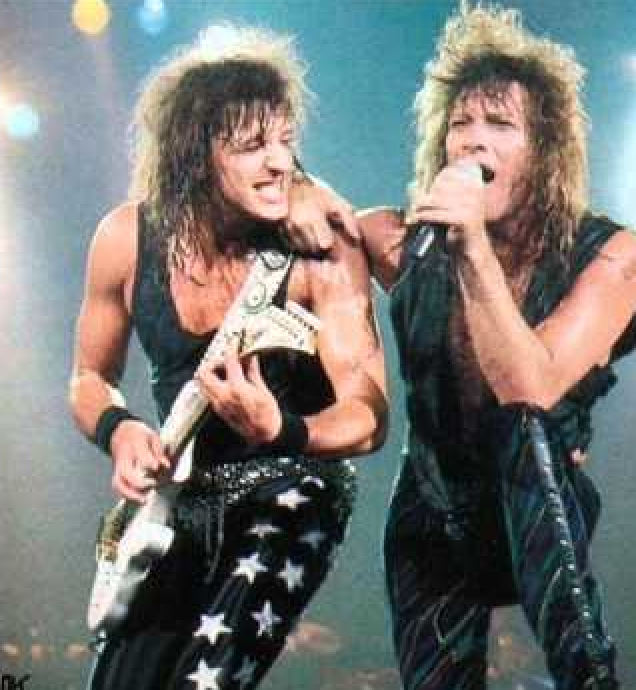 I wonder…in the run up to Christmas, what are the odds of doing a Bon Jovi? Woahhh… we’re half way there!!! Paraprotein levels most encouraging and folks registered so far on the Donor List going very well – and as you say the donor matches just goes to show what can be done..!! Seems like you are putting loads of effort into this with the presentations, radio and TV involvement plus day-to-day contacts. Good news on numbers. Bit like countdown, the lower it goes the more chance of winning. Can we persuade a national newspaper to take up the cause? Donating a sample of cheek cells is a lot easier than donating a kidney so why is so hard to persuade someone to donate? Time to attack or rather wake up MP’s. What do you think? Great idea Glyn, how about trying The Daily Mail too take up this cause. Do you know how to go about doing this? You are an athlete and there are hundreds more out there. Maybe you could follow that route and get someone famous on your campaign. Dame Kelly Holmes was on BBC news earlier in the year promoting myeloma awareness. Just a thought!